The template website; we’ve all been there. Sometimes it’s enough, but in the case of BG AD Group, the template’s time had passed. 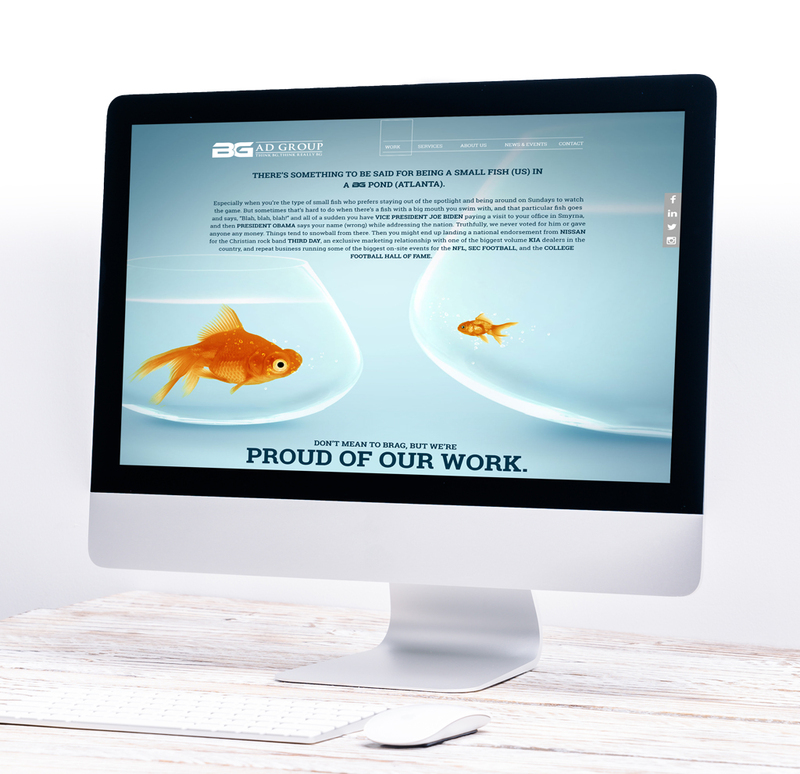 As the little fish in a big pond, BG AD’s owner, Darien Southerland, knew it was time to invest in a website that told their unique story. It would include the BG Vision, BG Values and BG voice (Southern, Y’all) that’ve helped them win clients since 2008 and become one of the most successful advertising agencies in the southeast. 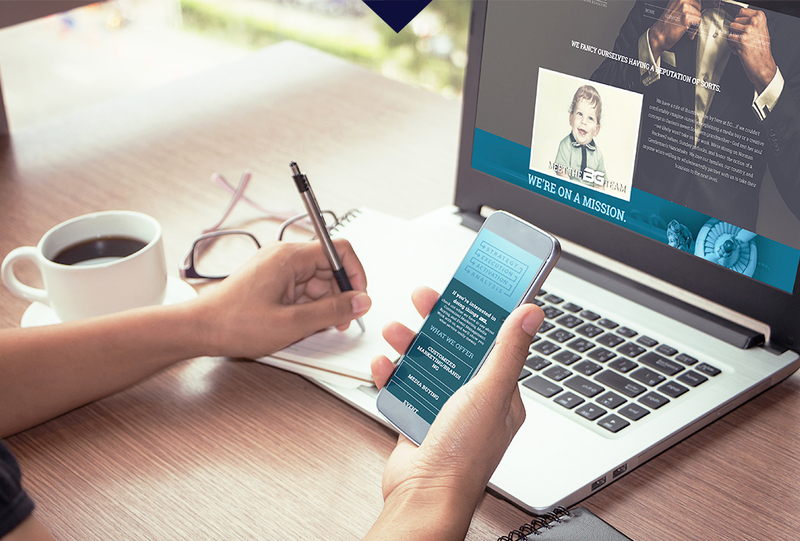 It’s a rare occurrence when ad agencies are humble enough to outsource the creative direction of their brand to another firm, but that’s exactly what happened when BG AD Group pulled the trigger on their website project. Darien knew he needed fresh eyes and a ‘real authentic’ voice to bring their story to life, so the partnership between BG AD Group and id8 was formed. 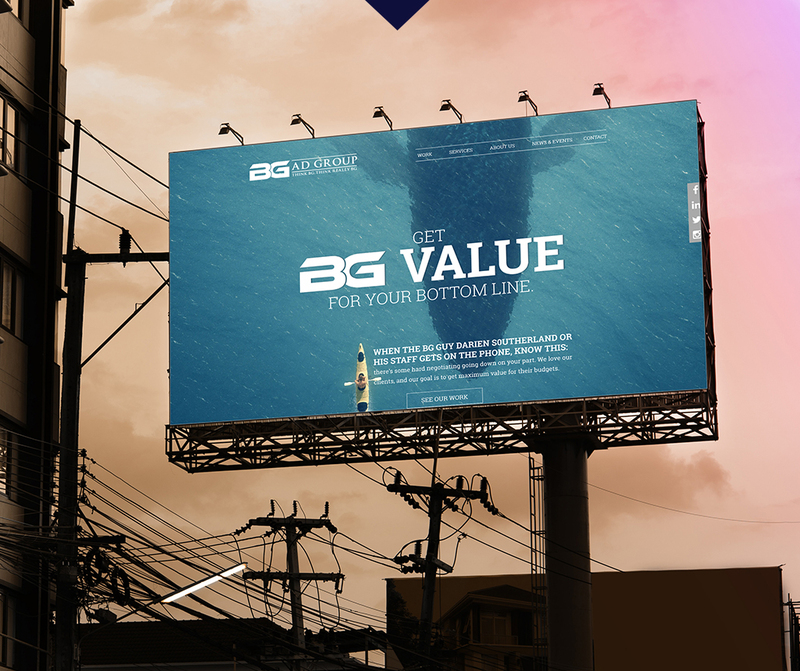 id8’s experience with original graphic design, visual storytelling and compelling, targeted copy was just what BG AD Group needed to launch a site that was BG enough! First things first: Discovery. id8 performed intensive Q&A with Darien and his team of marketing experts to uncover who they are, how they do things, and what makes them unique. Audits were performed on their original site, target market, clients, competition, digital presence and BG AD’s operational style even down to details like the old-school Atlanta Braves hat Darien wears to the office. Next, BG AD Group and id8 collaboratively created the site map, sticking to a thorough, systematic approach for development. id8 then created a wireframe—a skeleton of features, navigation, content and branding for each page—including design studies for the home and subpages. Two options were presented for review, while some heavy duty conceptual copywriting went on inside id8’s creative chambers. When positioning and messaging was agreed on, id8’s team got busy exploring every single service offered by BG AD Group, boiling those down to engaging 3-sentence explanations, conducting interviews for biographies, selecting design elements, pinpointing important media add-ons, and creating beautiful custom icons to make the new website thoroughly BG. Translation: Southern, charming, capable and smart. Finally, each page was developed into a responsive design viewed seamlessly on any type of device: phone, tablet, desktop or laptop. Careful quality assurance was performed on each page to ensure that design ideas and revisions were executed fully. 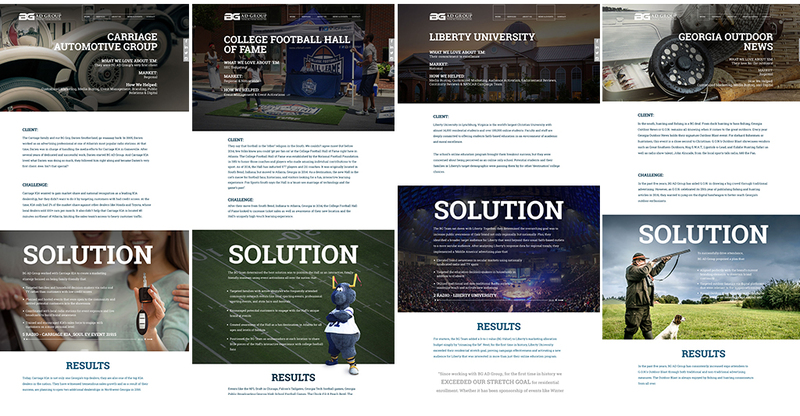 Overall, id8’s website development process for BG AD Group was a hard blend of ideation, collaboration, and dedicated effort. Did we mention we had a lot of fun in the process? Anything that’s worth anything in life is hard. Enough said.